I have been driving an electric vehicle (EV) for more than four years and have never regretted making that choice! During those four years, I've leased two battery-powered (only) electric vehicles (BEVs). 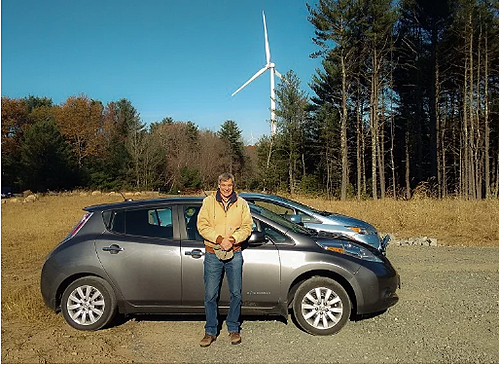 My wife and I leased a 2015 Nissan LEAF starting in October 2014 for almost three years. In July 2017, we initiated a lease of a 2017 Chevrolet Bolt. Both are great cars, but for the rest of my testimony I will refer only to the Bolt. Our biggest reason for going with the Bolt over the Leaf was the Bolt's increased range. 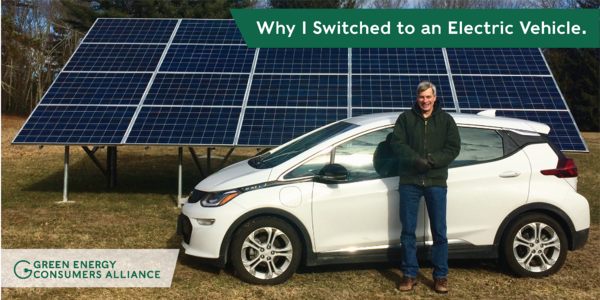 My decision to lease an EV was the best automotive decision I've ever made! The motivating factor to switch from an internal combustion engine (ICE) vehicle to an EV was (and still is) to have less of a negative environmental impact due to no tailpipe emissions. But there are so many more advantages! Ease of maintenance is a very attractive feature of all EVs. There are no oil changes, no transmission fluid worries, and no exhaust system to maintain! The only scheduled maintenance is tire rotation (every 7,500 miles) and cabin air filter (every 22,500 miles). That's it until 150,000 miles (battery, motor, and heater coolant change). Another plus of driving an EV is lower "fuel" cost. EVs get more miles per dollar spent on electricity as compared with current gasoline prices. With public charging stations (many of which are now free), the price of fueling an EV is reduced even more! One of the best surprises is the EV driving experience. It is fun to drive! Acceleration is quick and smooth due to the electric motor's instant 100% torque. There is no hesitation at all (an added plus for highway merging)! The Bolt, like all EVs, has regenerative braking, which allows the driver to use one-pedal driving for most situations. Regenerative braking sends electricity back to the battery, resulting in longer range and fewer (or hopefully no) brake pad replacements. Lower cabin noise and one-pedal driving seem to give a more relaxed driving experience. Joel in his EV Ambassador role with his new Bolt EV! I have spoken with many people contemplating an EV purchase or lease, but they are waiting for technologies to advance. I remind folks that the EV industry needs to be supported now for it to succeed. Some potential owners want to wait until an EV's range is well over 300 or 400 miles. Others are waiting for solid state batteries. Still others are waiting for prices to drop. All these advances are coming, but the industry needs consumers to step up now! I urge people to lease an EV so they aren't "stuck" with an "obsolete" vehicle in a few years. Most EVs qualify for the federal tax credit, although some will have their credits reduced soon. So now is a great time to make the switch! With the dire climate change warnings, emission reductions need to happen now! Recently my wife and i took a trip in our Bolt from Rhode Island to Delaware (over 600 miles round trip). It was a two-day trip (one down, one back). The trip went off without a hitch. I researched charging stations beforehand to make sure the trip was possible. We used EVgo DC fast charge stations. The stations were where they were indicated, all were functioning properly, and available on our arrival. EVs need some time to charge, but we spent less than an hour at each station. The EVgo stations are fee-based, so you need to establish an account. The fee is high for the amount of electricity consumed, but the convenience is what you pay for. We are not making trips like this very often, so the added expense (over comparable gas prices) was willingly absorbed. Our overall fuel expense is still much below the amount we would be spending fueling a gasoline car. The charging station network is expanding every day and soon we won't be anxious when executing extended trips. Map detailing Joel's approximate route courtesy of EVgo. 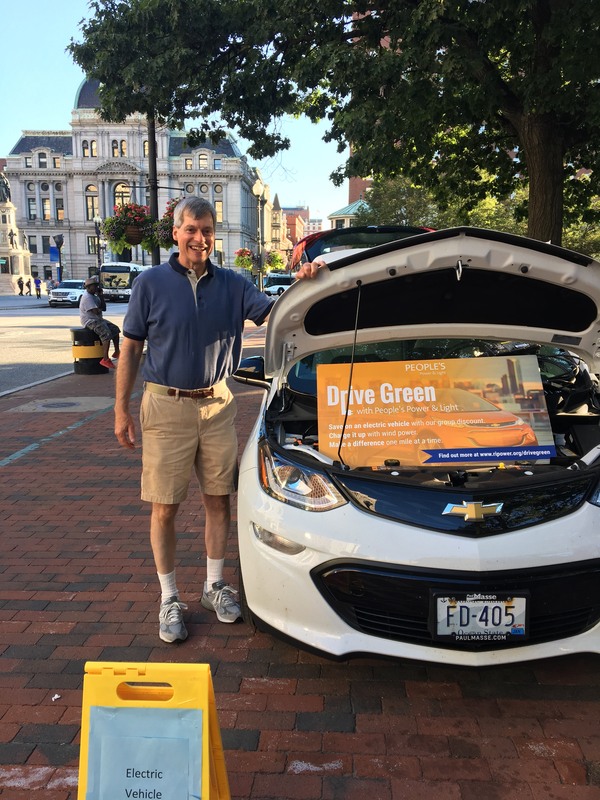 If you are planning a car purchase or lease, please consider an electric vehicle. If it suits your driving requirements, get one! I think you'll be very happy with your choice!